Mr. Robert Lee Steele Jr., affectionally known to his family as “CAT”. He was born June 9, 1947 to the late Mr. Robert Lee Steele Sr. & Mrs. Dollie Mae Toles Steele in Greenville, Alabama. 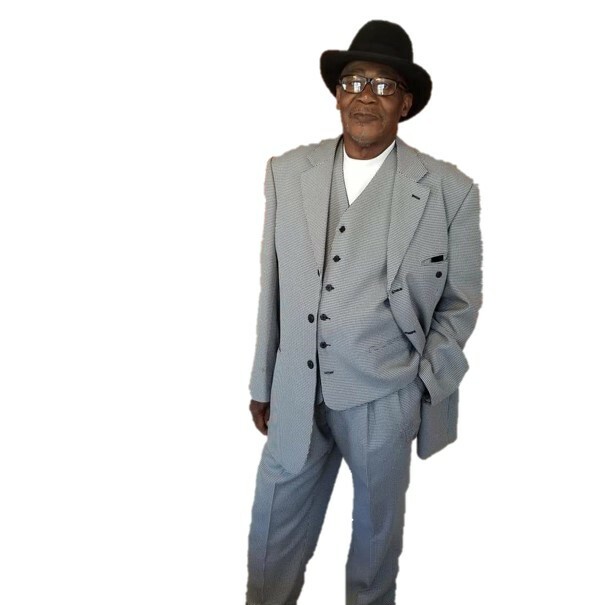 He joined the Hickory Street Church of Christ at an early age where he remained until he departed this life on April 6, 2019. He was preceded in death by four brothers: Earnest Earl, Freddie Lee, Eddie Roy and Willie Steele; two sisters: Beatrice Steele and Linda Steele. He united in Holy Matrimony to Mrs. Annie Steele and to this union two children was born, Tracy and Arlene. He leaves to cherish his memories: one son, Mr. Tracy Steele of Birmingham, AL, Four Daughters: Ms. Victoria Allen of Hoover, AL; Mrs. Arlene (Eric) Perdue of Greenville, AL; Mrs. Rhonda (Marco) Spivey of San Diego, CA, and Mrs. Georgia (Anthony) Scott of Virginia Beach, VA; one sister: Mrs. Betty Steele Turk of Montgomery; two brothers: Mr. Frank Albert (Monica) Steele of Canton, OH, and Mr. James Steele of Greenville, AL; two aunt: Mrs. Sarah Steele of Greenville, AL and Mrs. Betty Toles of Trenton, NJ; thirteen grandchildren: Shawna Peagler, Tequila Steele, Erykah Perdue, Braelin Collins, Priscilla Smith, Henri Sanders, Trinity Spivey, Tyler Scott, Reggie Scott, Za’Cory Scott, Felicia Allen, Lakeshia Allen and Sasha Allen, ten great grandchildren, Robert also had some Bonus Children: Edna Frank of Greenville, AL, Sheena McCloud of Birmingham, AL, Consena McCloud of Greenville, AL, Albert (Latoria) Perdue of Montgomery, AL, Linda Howard of Birmingham, AL. and Demetri Malone, Atlanta, GA. A host of nieces, nephews, three devoted nieces: April Williams and Fentra Steele of Greenville, AL and Demetri (Scottie) Mahone; five devoted friends: Mr. Robert Hall, Willie Hale Sr., John Shephard Jr., .Jimmy Payne and Robert Earl Robinson.